&copy; Desmond O'Neill Features:-www.donfeatures.com photos@donfeatures.com | Desmond O'Neill Features Ltd.
FRITZ VON WESTENHOLTZ and CAROLINE SIEBER at a party to celebrate 'Made in Italy at Harrods' - a celebration of Italian fashion food and wine, design and interiors, art and photography, cinema and music, beauty and glamour. 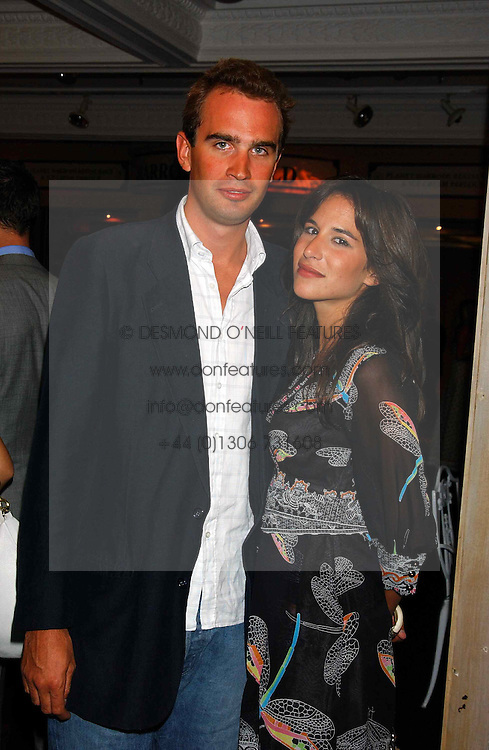 The party was held in the Georgian Restaurant at Harrods, Knightsbridge, London on 9th September 2004. PICTURES LICENCED UNTIL 9/3/2004 FOR USE TO PROMOTE THE 'MADE IN ITALY' EVENT/S ONLY.